Schluter®-DITRA-HEAT-E-HK are twisted pair heating cables designed for integration with the DITRA-HEAT uncoupling membrane in interior floor warming applications. Do not purchase a heating cable that is the same size as the area to be tiled; you will be left with too much heating cable! Very important: Never CUT or modify the heating cable in any way. This would change the cable resistance, will cause damage to the cable, and could cause cable overheating. A cable spacing of 3 studs is standard. A cable spacing of 4 studs is not recommended, as it can produce inconsistent floor surface temperatures. Minimum spacing from walls, partitions, and fixed cabinets is 2" (50 mm). 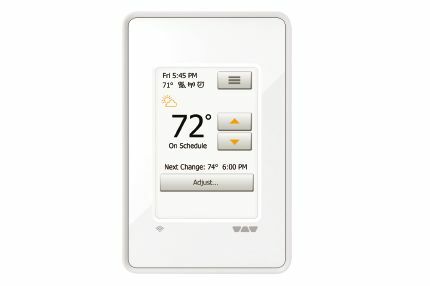 Minimum spacing from other heat sources (baseboard heaters, other fixed heating devices, fireplaces, etc.) is 8" (200 mm). Minimum spacing from any plumbing drain and forced air heating duct is 4" (100 mm). Minimum spacing from centerline of toilet drains is 7" (180 mm). NEVER install the heating cable under vanities with no air space beneath, bathtub platforms, free standing bathtubs with no air space beneath, kitchen cabinets and islands, any other fixtures in storage or clothing closets. Excessive heat will build up in these confined spaces and may cause cable overheating. NEVER install the heating cable under or through a wall, partition, or through a floor. NEVER install the factory splice (i.e., black plastic junction between the cold lead and gray heating cable) in the wall. This will cause overheating, system failure, and could cause damage. This splice must be installed entirely under the floor covering, as shown in the heating cable installation instructions. It is helpful to plan the location of a buffer zone, as it is not always possible to predict where the heating cable will end. The buffer zone is an area where heating is not essential, typically behind a toilet or adjacent to a door opening. This area allows for placement of excess heating cable. Heating cables may also be installed 6" (150 mm) from the wall to create a buffer zone. 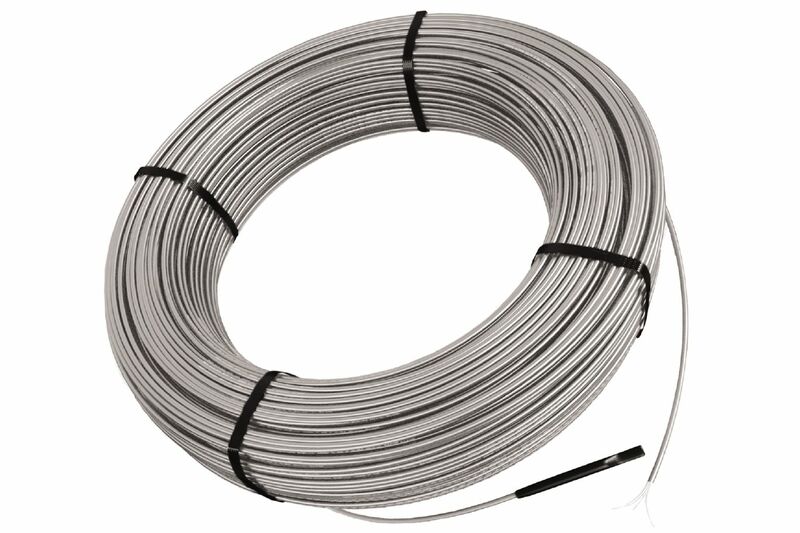 Heating cable testing is required while the heating cable is on the spool and at two subsequent steps during installation to ensure cable quality and for warranty purposes. A megohmmeter is required for the insulation resistance testing of the heating cables. Insulation resistance testing is strongly recommended. Consult a qualified electrician before ordering DITRA-HEAT heating cables to ensure you order the correct voltage for your installation. All substrates must be clean, even, and load bearing. Bond inhibiting surfaces must be removed prior to the application of DITRA-HEAT. 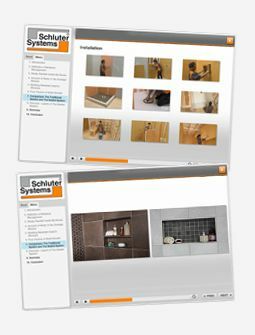 For complete installation guidelines and warranty criteria, please refer to the downloadable Schluter®-DITRA-HEAT Installation Handbook or to the installation video online. 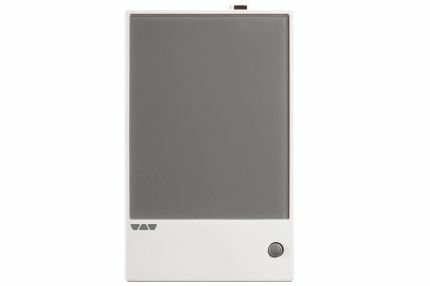 Note: Type, thickness, and format of the tile or stone surface covering must be suitable for the intended application. Minimum tile format is 2" x 2" (5 cm x 5 cm). 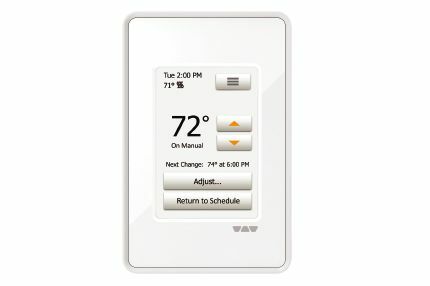 Use our DITRA-HEAT calculator to find out what products you need to complete your specific installation. What is the minimum stud spacing when installing the Schluter®-DITRA-HEAT-E-HK heating cables? 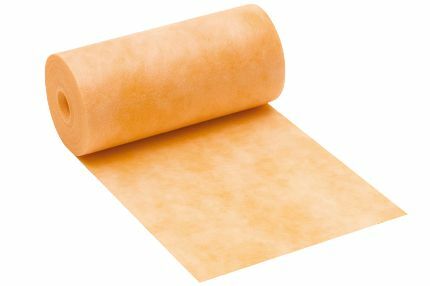 Can other manufacturer’s heating cables be installed with Schluter®-DITRA-HEAT membrane? Why is megohmmeter testing strongly recommendedfor Schluter®-DITRA-HEAT-E-HK heating cables? Where can I find a megohmmeter to perform the insulation resistance test?